Deadline for poster submission is 30 April 2018 latest. 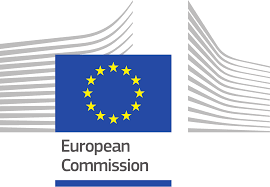 The EU has opened a public consultation (to 3rd April 2018) on thematic “missions” for the next European R&D funding programme (FP9), which will follow on from Horizon 2020. The FP R&D “Missions” are to be set in between broad global challenges (societal challenges such as sustainability) and specific projects, and should have “a clearly defined, measurable target … within a set timeframe”. ESPP will propose a mission on nutrients “Feeding a sustainable food system: nutrients are essential for agriculture but Europe depends on imports (phosphate rock, a Critical Raw Material) – to address nutrient circular economy, flow data, contaminants, dietary choice, food waste, industry uses (P4, a CRM), nutrient losses (eutrophication, Emissions Ceilings), organic carbon to soil (4°° climate objective, soil fertility, drought resilience), bio-energy and bio-economy”. ESPP will also submit proposals for R&D needs to support nutrient stewardship (see this document). 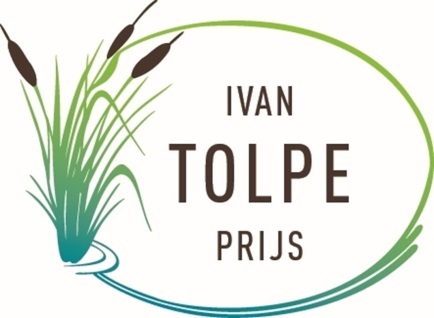 The 3rd Ivan Tolpe Award for innovative techniques in manure processing is open for submissions to 26th October 2018, with €2000 to be won. The award is organised by VCM, the Flemish Coordination Centre for Manure Processing. Entrants can address all aspects of manure processing, with focus on a better energy efficiency or a more optimal valorisation of nutrients. The proposed manure processing technique must be “market-ready”, innovative and must address a demand-driven problem, applicable in the Flemish context – but candidates from outside Belgium are welcome. The winner of the 2nd award, Fraunhofer IGB (Germany) “BioEcoSim” project (see ESPP eNews n°8) is now moving towards implementation. The technology has been purchased by Suez, who are now building a full-scale plant in Germany, expected to be operational before end 2018. The initial European Commission proposal text for the new EU Fertilisers Regulation means that any product where “by-products” have been used at any stage in production would effectively be excluded from the ‘EU Fertiliser’ label. A meeting organised by Fertilisers Europe, at which ESPP spoke, underlined that this would block most fertilisers today on the market, with presentations showing how by-product cycling into fertiliser production is core to the industry. 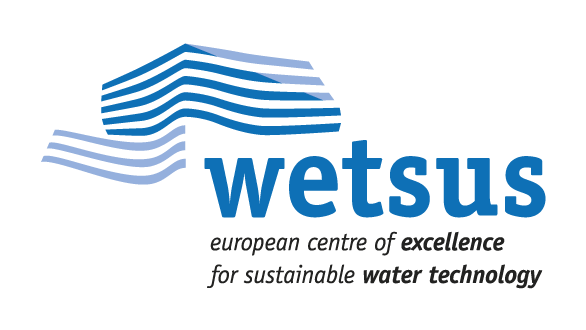 The issue is today taken on board by European Parliament, Council and the Commission in the current trilogue discussions, and the challenge is now to reach a workable legal wording. Javier Goñi del Cacho, CEO Fertiberia & President of Fertilizers Europe, and Jacob Hansen, Director of Fertilisers Europe, underlined that the fertilisers industry is a frontrunner in Circular Economy, with widespread use of by-products in production processes, so saving nutrients, energy and costs. The Fertilisers Regulation must both enable this to continue, and be open to innovation to recycling of other materials into fertilisers in the future, whilst continuing to ensure quality and safety in products delivered to farmers. A survey of fertiliser companies presented by Tiffanie Stefani, Fertilisers Europe Agriculture & Environment Manager, presented a survey of 6 large fertiliser companies: of 500 mineral fertiliser products currently CE marked, 75% use by-products in their production. The circular economy is vital to Europe’s fertiliser industry because Europe is largely dependent on imports for phosphorus supply, for natural gas (natural gas is 62-84% of production cost of nitrogen fertilisers) and has only 2% of the world’s potassium reserves (90% are in Russia, Bielorussia and the USA). Case studies showed the reality and importance of circularity by examples of reuse of by-products in fertiliser production today. 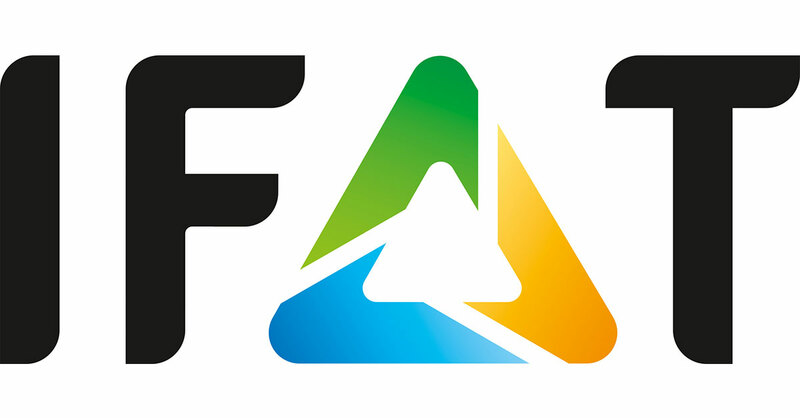 Joaquim Queisser, BASF, explained that his company uses one million tonnes/year of ammonium sulphate by-product from polyamide (performance polymer) upstream production as a nitrogen source for fertiliser production. Rachel Lombardi, Industrial Synergies, showed that industrial symbiosis is implemented worldwide. Javier Brañas, Fertiberia, presented the case of a recently developed specialist fertiliser for olives: 40% of input materials are by-products. Amaury Rosier, Solvakem, presented the use of spent industrial sulphuric acid (by-product) in fertiliser production: lower costs and local supply mean that can be crucial for the survival of SME phosphate fertiliser producers in Europe. Tatu Liimatainen, Cabinet of EC Vice-President Jyrki Katainen, underlined the importance of the EU Fertilisers Regulation, as a key initiative of the Commission’s Circular Economy Package. He noted industry’s concerns on by-products and his full support for finding solutions. He also noted that the third set of package measures, presented in January 2018 includes addressing the chemicals regulation/waste regulation interface. Mihai Ţurcanu MEP, Rapporteur for the European Parliament IMCO Committee, indicated that Parliament has adopted two amendments aiming to address this issue, the issue is now under discussion in trilogue, and is approached constructively by Council. He underlined the shared objective to finalise the Regulation under the Bulgarian Presidency (before end June 2018). Stéphane Murieux, French Institute for the Circular Economy, underlined that the circular economy is a priority of the Macron government, and invited input to the working group on agriculture circular economy. Claudio Ciavatta, Bologna University Italy, underlined that R&D is needed to develop knowledge on safety and effectiveness. Eugen Kohler, Deutscher Bauernverband (German Farmers’ Association) stated that farmers want to be assured of product safety, and so wish to have information on which by-products are used a fertiliser, or to have traceability. Chris Thornton and Ludwig Hermann, European Sustainable Phosphorus Platform (ESPP), reminded that the Fertilisers Regulation is highly ambitious because it covers a wide range of industries (inorganic fertilisers, organic products, liming materials, biostimulants …), including both large companies and many SMEs. This poses challenges for the different industries concerned to work together to propose workable solutions. Solutions for by-products in the EU Fertilisers Regulation must also consider by-products from plants, crops or bio-based industries. The new Fertilisers Regulation is also highly ambitious because it is the first time EU product legislation will confer “End-of-Waste” status, and is already addressing the REACH/chemicals/waste interface. It is therefore important to maintain Commission “delegation” to modify the annexes and to anticipate development of Commission Guidance Documents to support implementation by companies and by Member States. In discussion, the importance of dialogue in coming weeks between trilogue (Parliament, Council, Commission), industry and stakeholders was underlined, to ensure that the final text combines legal soundness, industry workability and stakeholder acceptability. The inclusion of a “positive list” of all identified by-products was rejected by most participants as unrealistic (too many by-products not feasible to list all, not always clearly defined) and contrary to future innovation. Possible solutions voiced include: (1) acceptance of by-products which are REACH registered, (2) documentation that by-products are used for justified reasons, such as a useful role in the production process or improving agronomic value, (3) reliance on PFC contaminant and safety criteria, (4) some form of traceability (not necessarily on the physical label), (5) if a by-product is susceptible to contain source-contaminants and not covered in PFC criteria then these should be assessed, (6) in CMC1, excludewastes and animal by-products (as in the proposed text) and a short negative list should exclude by-products from problematic sources (e.g. nuclear sector, waste treatment …). 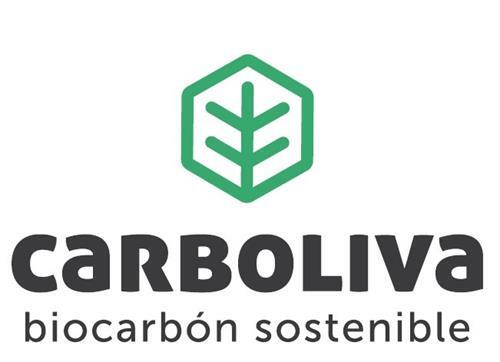 Carboliva produce 12,000 tonnes/year of biochar from the “cake” (olive pomace) left over after extraction of olive oil by pressing (for table-quality olive oil) and by the chemical extraction with food grade solvents (for refining and food industry utilization). This biochar will be marketed as a soil improver. It has high potassium content (> 11% K), some phosphorus (>1 %P), organic fixed carbon and a high bulk density (higher than 400 kg/m3). The material has very low levels of heavy metals and organic pollutants. The production of olive cake is very significant in Spain (estimated at 1,5 million tonnes/year) and in other olive-producing EU countries, offering a significant potential for biochar production. The European Parliament has voted an amendment to add “olive pomace” to the (very limited) list of ‘Food Industry By-Products” materials (CMC6) to be authorised for use in the EU-mark fertilisers under the revised EU Fertilisers Regulation, but this may or may not be validated in the trilogue process. Also, the addition of ‘Biochars and Pyrolysis Materials’ to this Regulation is currently being evaluated and criteria proposed in the STRUBIAS process. Industry federations consider that the European Commission’s proposed nickel limits for organic fertilisers and soil improvers should not be lowered. GME and EXCA note that nickel levels in expanded clay are naturally occurring, that such elements in clays used in soil improvers are generally not released, and that nickel levels in organic materials result from plant uptake from soil. The industry federations indicate that Council proposals to lower the levels proposed by the European Commission for the EU Fertilisers Regulation would exclude products currently on the market, because many Member States already apply the same limits, and that lower levels are not supported by science. In a separate letter, GME and ECN suggest to replace requirements on E. coli and enterococcaceae bacteria by more specific limits on dangerous toxin-producing bacteria only (in organic fertilisers, soil improvers and growing media). “EU Regulation on CE marked fertilising products: Nickel limits for Growing Media”, 5th March 2018, Growing Media Europe (GME) www.growing-media.eu and European Expanded Clay Association www.exca.eu “Pathogen control with Escherichia coli or Enterococcaceae” GME and European Compost Network (ECN) 20th March 2018. 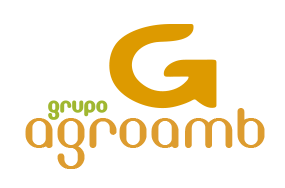 Group Agroamb, Galicia (Spain) recycles over 100 000 tons/year of various organic wastes and by-products to fertilisers by treating with lime (to ensure sanitisation) then blending with nutrients and natural drying to produce organic soil improvers or fertilisers. Wastes used as input materials include bio-wastes, municipal and industrial sewage biosolids, animal by-products, wood ash and livestock manures. The liming process results in products which both provide organic carbon to soil and contribute to soil pH improvements. Agroamb is a waste management and farm services company with over 160 farmer customers. ISO 14001 and EMAS standards are respected and the company currently has fifteen different fertiliser products registered under Spanish fertiliser legislation, and sold in Galicia, nearby Spanish regions and in Portugal. US diet phosphorus (P) recommendations for dairy cows have been reduced considerably over recent decades, without loss of productivity, and could be further reduced, according to a detailed review of scientific knowledge of mineral uptake mechanisms in the mammal gut system and of related diet considerations for dairy farming by Jesse Goff in the Journal of Dairy Science. US NRC (National Research Council) feed phosphorus adsorption coefficients were already increased from 0.5 in 1989 to 0.64 (for forage) and 0.7 (for concentrates) in 2001. This means better phosphorus use efficiency and lower levels of phosphorus in manures. Business Europe has added Fertikal, Belgium, to its CIRCULARY website, which promotes circular economy success stories and identifies business development challenges. Fertikal, based in the Belgian port of Antwerp, collects and recycles organic materials from up to around 150 km, including c.18.000 tonnes of digestates from bio-gas plants, c. 200.000 tonnes of different types of farm manures and c. 60.000 tonnes of other secondary raw materials (by-products from food and animal feed industries) and minerals. These are processed under closely controlled conditions, enabling End-of-Waste status, to produce specialist soil improvers and dried, pelletised organic and organo-mineral fertilisers which are exported worldwide. The company notes the need for European harmonisation of process audits and of fertiliser legislation. ESPP submitted input to the European Commission public consultation on pharmaceuticals in the environment underlining that questions about pharmaceuticals in processed sewage biosolids and in manure pose a significant obstacle to recycling of both nutrients and organic carbon, because of food industry concerns about public perception. Pharmaceuticals are inevitably present at trace levels in these materials, even though they are generally water soluble and main concerns are about their presence in aquatic discharges rather than in biosolids. ESPP underlined that more data, monitoring and risk assessment is needed concerning pharmaceuticals reaching farmland through nutrient recycling, including work on improving pharmaceuticals breakdown during sewage treatment composting or anaerobic digestion. Around half of the EU’s sewage is today recycled to agriculture. Maintaining this recycling route should be a policy priority, and the EU should engage dialogue with farmers, the food industry, supermarkets and consumer and environmental associations to develop risk assessments and ensure safety, transparency and confidence. Greece has been fined (immediate payment) 5 million Euros for failing to install adequate sewage collection for the Thriasio Pedio area to the west of Athens, and for failing to sufficiently treat sewage before discharge into the Gulf of Eleusina in the northern Aegean Sea. This follows Greece failure to implement a European Court of Justice decision of 2004. The Court has further inflicted Athens repeating fines of €3.28 million every six months until adequate treatment regime is installed, with possible reductions if progress is made. ESPP has submitted input to the EU consultation on EU funds, investment, innovation, enterprise, single market. ESPP underlined the importance of the EU Fertilisers Regulation revision, of project and long-term R&D funding to enable innovation and scale-up, the need for more reliable data on nutrient flows, importance of environmental legislation in driving innovation and creating markets, potential to support recycling in CAP, need to shift fiscal burden from employment to taxation of resource and energy consumption, integration with health (diet) policies. ESPP has also responded to the EU consultation on revision of the Bioeconomy Strategy, underlining the need to more closely integrate Circular Economy policy (in particular, the Nutrient Circular Economy) and Critical Raw Materials (phosphate rock is on the EU Critical Raw Materials List). Nutrient recycling and nutrient stewardship are essential both to “feed” the bioeconomy (fertiliser nutrients are essential for biomass production) and to limit impacts from nutrientlosses (eutrophication, atmospheric emissions). An analysis of data from 80 countries, for men born in the 1960’s, 70’s and 80’s, concludes that mean height is correlated to average national dietary nutrient intake: nitrogen intake, phosphorus intake and N:P ratio. Mean heights varied from 1.6m to 1.8m. N and P intakes were estimated from FAO data for each country on (a) per capita food intake for different food types and (b) nutrient contents of different food types*. Mean dietary intakes are estimated as 26 – 53 gN/day nitrogen and 3.7-5.9 gP/day phosphorus. ESPP note: this figure for P is 3-4 times higher than the generally recognised figure e.g. 1 – 1.8 gP/day for Europe, EFSA 2015, see SCOPE Newsletter n°112), indicating that there is probably significant unreliability in the food data bases (as is already recognised by other authors, see e.g. Gutekunst in SCOPE Newsletter n°125). The study results also show that height is correlated to calorie intake and animal product content of diet; both height and nutrient intake are correlated to country wealth; height is also known to be correlated to education, earnings, life expectancy, and lower risk of cardiovascular disease. These elements suggest that the correlation to nutrient content of diet may be in part the result of other factors. The increase in height over time is not as high as would be expected (based on the observed inter-country correlation), given the increased diet nutrient content over recent decades, again suggesting that the diet nutrient – height correlation may be related to other factors. Including morning and afternoon special sessions on phosphorus by Run4Life, Germany Phosphorus Platform, Bavaria Ministry and ESPP. Programmes now online.